Help Businesses Stand Out as a Content Writer in Las Vegas! Las Vegas is a global leader when it comes to entertainment, gambling, fine dining and restaurants. Each of these businesses has to get their name out there in order to obtain a positive reputation in this highly competitive field. They rely on skilled and experienced content writers to help them develop campaigns and content to lure their desired clientele in. A Las Vegas-area content writer can expect to earn an average salary of $46,647 per year, according to Glassdoor. The mean salary for this position ranges from $34,000 on the low end, to $66,000 on the high end. Some companies even offer content writers cash compensation, such as commission, cash bonuses and profit sharing, in addition to a base salary. Content writing is a booming industry. More people than ever are turning to the Internet when making decisions about what companies to purchase from and do business with. Content writing and marketing puts the eyes of those looking for your services or products on your business. Due to the growth, content writing and copywriting is expected to see an 8-9 percent job growth rate over the next five to ten years. This is a huge jump, considering content marketing jobs increased by an astounding 33 percent between 2017 and 2018. Online job posting websites, such as Glassdoor, Indeed and LinkedIn list hundreds of writing jobs for the Las Vegas area. This includes full-time, part-time and freelance work. If you are looking to change career paths, stay competitive in your current writing path or simply want to brush up on your writing skills, the greater Las Vegas Valley can provide you with the opportunities you are after. Las Vegas is home to many creative minds. If you are looking to get into the creative writing field, CSN is home to a creative writing program. The University of Nevada, Las Vegas offers more traditional writing programs and English classes. Adult education classes throughout the valley frequently offer English classes and writing classes. Lastly, many of the Parks and Recreation districts, including Las Vegas, North Las Vegas and Henderson, offer writing courses throughout the year. Be sure to check the programs that are put out every spring, summer, fall and winter to see what classes are offered and how to enroll. Las Vegas is a 24-hour town filled with social individuals. As such, there are always numerous groups that can appeal to a person involved in any hobby or career path. If you are looking to participate in a Las Vegas writing group, you should have no challenges finding a group that offers the type of writing you are interested in, located near you and at a time that is convenient for you. One of the best ways to find writing groups in Las Vegas is to look at the popular website, Meetup. Meetup has detailed listings for creative writing groups, writing workshops and beginners writing groups. Whatever you are into or looking for, you can likely find a group on this website. Another popular writing group in the area is the Writers of Southern Nevada. This group offers monthly meetings, as well as various writing events. Participating in this group can be a way to learn more about the Vegas writing scene and develop friendships with other local writers. The final group you should consider is the Henderson Writing Group. The Henderson Writing Group is one of the largest writing groups in the greater Las Vegas area. It hosts two to three weekly meetings for writers to attend, as well as many additional writing workshops and classes. In 2019, Las Vegas will be hosting The Las Vegas Writers Conference from May 2 thru May 4 at the Tuscany Resort. This conference is being sponsored by the Henderson Writing Group. The conference is geared toward writers of all genres and types. It is a great way to network and interact with fellow writers, publishers and content managers. Pitching sessions, writing sessions and mentoring sessions are just a few of the items that are on the agenda at this conference. 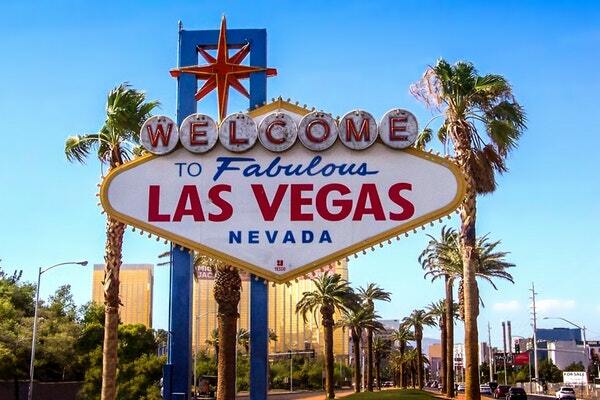 Las Vegas attracts some of the best workshops and classes for writing in the country. The writing workshops and classes seem to be endless. When you are looking for a workshop of class, take the time to browse through the website EventBrite. They list upcoming workshops and classes. Some of the classes that are currently upcoming in the Las Vegas area include: Write Your Book in a Day!, Writefully Yours: A Workshop Series for Aspiring Authors and How to Write A 2019 Internet Marketing Plan Course. The Writer’s Block, a local Las Vegas business, also offers frequently workshops and classes for writers of all ages, including children and adults. Be sure to check their webpage for upcoming events and classes. The Raiders football organization is also making a move to Las Vegas. That will bring new jobs, including new content writing positions. Be sure to check their webpage to learn more about the opening of their corporate offices and their available positions. Digital marketing agencies offer all types of work, including full-time, part-time or freelance work. Reach out to local companies to obtain new content writing jobs and leads. WriterAccess: We are a Boston-based business and leading provider of writing services for 25,000+ customers powered by 15,000+ freelance writers, editors, content strategists and translators. Freelance writers of all skill levels are needed so be sure to APPLY NOW! Skyword: A content marketing platform that helps to create content for major brands including Anthem, Tom’s of Maine, and IBM. Scripted: A digital content platform that allows freelance writers to connect with businesses and agencies that are looking for new talent to create web pages, blogs and other forms of content. Make Your Mark On the Writing World! When you think of Las Vegas, there are many things that may come to mind, including the world-famous, iconic strip and sinful activities. But this is not all that Las Vegas has to offer the world. What happens in Vegas doesn’t always have to stay in Vegas. With your writing, you can help leave your mark by creating a lasting impression of the mind of those who view your work. If you are a business owner who is looking to create a lasting impression for clients, you can hire some of the best content writers available right here at Writer Access. Carrie C. specializes in legal, fashion, parenting and home and garden topics. However, she is a very versatile writer. In her ten years of writing experience, she has written about a wide array of topics. If it can be researched, she can write it. As a mother, many of Carrie’s interests revolve around her son. She enjoys watching him play sports, helping in his classroom and engaging in fun activities together. Outside of this, Carrie enjoys dining out, traveling and spending time with her friends.